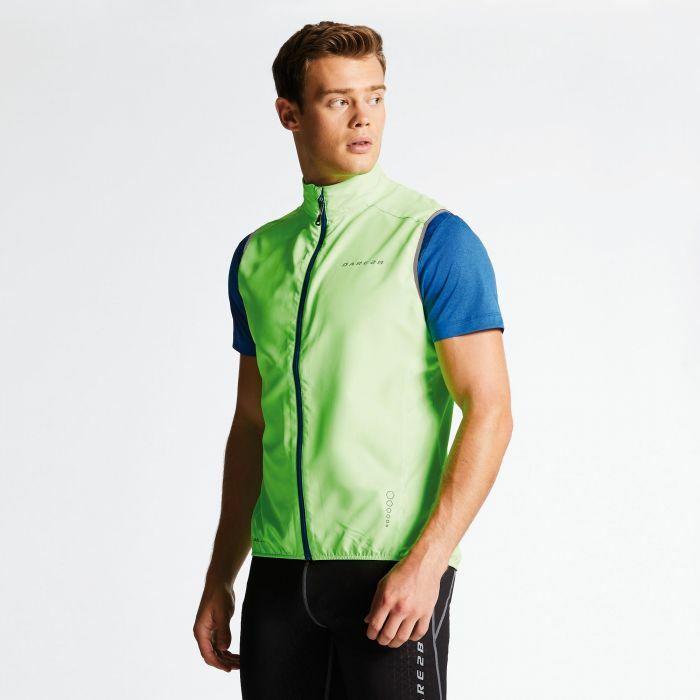 Ultra-lightweight layering vest for cycling and jogging. Move easy. Made from our iLUS Windshell polyester fabric. Showerproof. Reflective details for early starts and late finishes. Size M weighs under 155g. Stash it in your jersey pocket or rucksack. Ready to protect your core.